Elaine Walton from Moore, Middlesex has joined ZLicense to save lives. Larrian Williams from New Orleans, La has joined ZLicense to save lives. Carol Deas from Columbia, Sc has joined ZLicense to save lives. Ronald Harris from Sauk Village, Il has joined ZLicense to save lives. Wadie Ryan from Norlina, Nc has joined ZLicense to save lives. Gabriel Taylor from Las Vegas, Nv has joined ZLicense to save lives. Gabriel Alexander from Compton, Ca has joined ZLicense to save lives. Aaron Johnson from Atlanta , Ga has joined ZLicense to save lives. Deus Meela from Aurusha, Tanzania has joined ZLicense to save lives. Pat Brewer from Charlotte, Nc has joined ZLicense to save lives. Jack Rainbolt from Seattle, Wa has joined ZLicense to save lives. Hilary Joseph from Pilot Station, Ak has joined ZLicense to save lives. Ericka Howereynolds from Meriden, Ct has joined ZLicense to save lives. Earl Monroe from Killeen , Tx has joined ZLicense to save lives. Alicia Mitchom from 12217 Benham Road, Mo has joined ZLicense to save lives. Aaron Salian from Milpitas, Ca has joined ZLicense to save lives. Joseph Smith from Merritt Island, Fl has joined ZLicense to save lives. Manaleto Clay from Tacoma, Wa has joined ZLicense to save lives. Sherrell Anderson from Saint Louis, Mo has joined ZLicense to save lives. Cecily Williams from Pennington, Al has joined ZLicense to save lives. Craig Sharpe from Houston , Tx has joined ZLicense to save lives. Leo Anderson from Ypsilanti, Mi has joined ZLicense to save lives. Benjamin Bumpers from Chicago, Il has joined ZLicense to save lives. Herbie Hannah from Philadelphia, Pa has joined ZLicense to save lives. Jerrika Williams from Long Beach, Ca has joined ZLicense to save lives. Jerena Durhamcampbell from Homestead, Fl has joined ZLicense to save lives. Shamir Massey from Prattville, Al has joined ZLicense to save lives. Za'aliyah Johnson from Waco, Tx has joined ZLicense to save lives. Zachary Malveaux from Houston, Tx has joined ZLicense to save lives. Connie Sayles from Cinti, Oh has joined ZLicense to save lives. Cornelius Williams from Jonesboro, Ar has joined ZLicense to save lives. Isabelle Jodoin from Canton, Mi has joined ZLicense to save lives. Aaron Steede from Powder Springs , Ga has joined ZLicense to save lives. Linda Ashley from Los Angeles, Ca has joined ZLicense to save lives. Michael Finney from Chicago, Il has joined ZLicense to save lives. Jennifer Rodrigues from Kissimmee, Fl has joined ZLicense to save lives. Tracey Henderson from Belleville, Mi has joined ZLicense to save lives. Christopher Lawrence from Fort Wayne, In has joined ZLicense to save lives. Joseph Lapiana from Monticello, Ny has joined ZLicense to save lives. Tracey Bass from Chicago, has joined ZLicense to save lives. Meghan Young from Deltona, Fl has joined ZLicense to save lives. Daryl Levon Smith from Missouri City, Tx has joined ZLicense to save lives. Carolyn Sanchez from New Orleans, La has joined ZLicense to save lives. Refund Chris Lewis from Richmond, Va has joined ZLicense to save lives. Paul Cash Ii from Anchorage, Ak has joined ZLicense to save lives. Charles Roberts from Midway, Ga has joined ZLicense to save lives. Marc Cohen from Humble, Tx has joined ZLicense to save lives. Cynthia Long from Columbus, Oh has joined ZLicense to save lives. Keith Colley from Orlando, Fl has joined ZLicense to save lives. Lv Davis from Missouri City, Tx has joined ZLicense to save lives. Victor Daley from Toronto, On has joined ZLicense to save lives. Sophia Acuff from Lavonia, Ga has joined ZLicense to save lives. Dajon Reaves from Charlo6, Nc has joined ZLicense to save lives. Alexandria Teachey from Summerville, Sc has joined ZLicense to save lives. Tiffany Day from Pasadena, Tx has joined ZLicense to save lives. Lizzette Pabon from Paterson, Nj has joined ZLicense to save lives. Susan Singleton from Houston, Tx has joined ZLicense to save lives. Kymani Ogilvie from Little Silver, Nj has joined ZLicense to save lives. Gavin Gibson from Salisbury, Nc has joined ZLicense to save lives. Peter Mcgrail from Petrie, Qld has joined ZLicense to save lives. J Meredith from Petersburg, Va has joined ZLicense to save lives. Laurence Rials from Lakeland, Fl has joined ZLicense to save lives. Charon Gist from Aliquippa, Pa has joined ZLicense to save lives. Deborah C Johnson from Apopka, has joined ZLicense to save lives. Candi Perry from Indianapolis, In has joined ZLicense to save lives. Charles Mcneil from Brenham, Tx has joined ZLicense to save lives. Stephanie Bakongo from Charlotte, Nc has joined ZLicense to save lives. Jonathan Curry from Chicago, Il has joined ZLicense to save lives. Refund Refund from Fitchburg, Ma has joined ZLicense to save lives. Julian James from Augusta, Ga has joined ZLicense to save lives. Tonda Johnson from Scranton, Pa has joined ZLicense to save lives. Latasha Knight from Westland , Mi has joined ZLicense to save lives. Alonzo Smith from Brooklyn, Ny has joined ZLicense to save lives. Herschel Graham Sr from Cairo, Il has joined ZLicense to save lives. Kiumars Kiani from Cincinnati , Oh has joined ZLicense to save lives. Arvin Waddles from Marshall, Tx has joined ZLicense to save lives. Labake Sonuyi from Placentia, Ca has joined ZLicense to save lives. Ahmed Hollis from Gaffney, Sc has joined ZLicense to save lives. Edna Sanchez from South Bend, In has joined ZLicense to save lives. Frederic M Guillaume from Orlando, Fl has joined ZLicense to save lives. Lashunda Watson from Hockley, Tx has joined ZLicense to save lives. 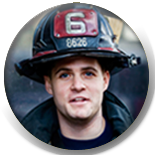 John Johnson from Yonkers, Ny has joined ZLicense to save lives. Refund Sharnee Grant from Fort Wayne, In has joined ZLicense to save lives. Balwaphi Jacky Masanabo from Dennilton, has joined ZLicense to save lives. Lillian Mbovi from Nairobi, Nairobi has joined ZLicense to save lives. Dianne Standley from Asquith, Nsw has joined ZLicense to save lives. Harry Chubbs from Sanford, Nc has joined ZLicense to save lives. Peter Halloran from Whorouly, Victoria has joined ZLicense to save lives. Yaraivery Moore-burgos from East Stroudsburg, Pensylvannia has joined ZLicense to save lives. Reshaine Hodges-mcdade from Hempstead, Tx has joined ZLicense to save lives. 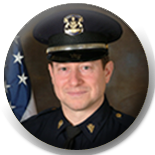 Calvert Barnes from Stamford, Ct has joined ZLicense to save lives. Clarence Duncan Jr from Denham Springs, La has joined ZLicense to save lives. 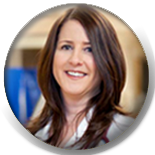 Tamra Adams from Meridian, Id has joined ZLicense to save lives. Linda Bentley from Vidalia, Ga has joined ZLicense to save lives. Sandy Brammer from Port Charlotte, Fl has joined ZLicense to save lives. Garrett Brooks Jr from Rochester, Ny has joined ZLicense to save lives. Shelbee Carter from Athens, Ga has joined ZLicense to save lives. Malcolm Tanksley from Fort Worth, Tx has joined ZLicense to save lives. Tammy Williams from Houston , Tx has joined ZLicense to save lives. Wanda Thompson from Fresno, Tx has joined ZLicense to save lives. Jeanette Job from Baytown, Tx has joined ZLicense to save lives. Bryan Wilson from Chino, Ca has joined ZLicense to save lives. Angelica Rivera from Brooklyn , Ny has joined ZLicense to save lives. Juan Rubio from Houston, Tx has joined ZLicense to save lives. Shanicka Frank from Jackson, Tn has joined ZLicense to save lives. Destinee Mills from Sterling, Va has joined ZLicense to save lives. Bemis H Hamilton from Chicago, Il has joined ZLicense to save lives. Chris Fuller from Mesa, Az has joined ZLicense to save lives. Najee Ray from Long Beach, Ca has joined ZLicense to save lives. William Blair from Lincoln, Nebraska has joined ZLicense to save lives. Vysakh R from Trivandrum, Kerala has joined ZLicense to save lives. Brett Stapleton from Toowoomba, Queensland has joined ZLicense to save lives. Joelani Ballard from Omaha, Ne has joined ZLicense to save lives. Barbara Lowe from Belmont, Nc has joined ZLicense to save lives. Ramon Del Villar from Lancaster, Pa has joined ZLicense to save lives. Sharry Armstrong Stewart from Fairfield, Oh has joined ZLicense to save lives. Lisa-kaye Price from Wesley Chapel, Fl has joined ZLicense to save lives. Michelle Owens from Shreveport, La has joined ZLicense to save lives. James A Reddick Ii from Cedar Hill, Tx has joined ZLicense to save lives. Marlo Bridgeforth from Taylor, Mi has joined ZLicense to save lives. Trevis Rodney from Jamaica, Ny has joined ZLicense to save lives. Charles Cogar from Pembroke Pines, Fl has joined ZLicense to save lives. Brenda Scott from Mansfield, Tx has joined ZLicense to save lives. Miriam Bazemore from Windsor, Nc has joined ZLicense to save lives. Anthony Wright Sr from Quitman, Ga has joined ZLicense to save lives. Monique Jones from Granada Hills , Ca has joined ZLicense to save lives. Jamal Prince from Westland, Mi has joined ZLicense to save lives. Deandre Hagar from Detroit, Mi has joined ZLicense to save lives. Leroy Rose from El Paso, Tx has joined ZLicense to save lives. James Gastringer from Fredricksburg, Va has joined ZLicense to save lives. Robert Miles from Mckinney , Tx has joined ZLicense to save lives. Oscar Beauge from Fort Pierce , Fl has joined ZLicense to save lives. Kamleshwar Kumar Chaddha from New Delhi, has joined ZLicense to save lives. Charles El from Houston, Tx has joined ZLicense to save lives. Sondra Knauls from Tulsa, Ok has joined ZLicense to save lives. Trinity Monroe from Killeen, Tx has joined ZLicense to save lives. Julio Rodriguez from Bronx, Ny has joined ZLicense to save lives. Levar Katio from Columbia, Sc has joined ZLicense to save lives. Christian Cannon from Ypsilanti, Mi has joined ZLicense to save lives. Corey Jones from Richmond, Va has joined ZLicense to save lives. Tyrone Lipford from Romulus , Mi has joined ZLicense to save lives. Rabia Hassan from Minneapolis, Mn has joined ZLicense to save lives. Vivien Sevier from Missouri City, Tx has joined ZLicense to save lives. Refund Joshua Allen Akeem from Gretna, La has joined ZLicense to save lives. Carolina Lipsey from Windsor Mill, Md has joined ZLicense to save lives. Christie Hollins from Missouri City, Tx has joined ZLicense to save lives. Myiesha Gaines from Sacramento, Ca has joined ZLicense to save lives. Cynthia Mann from Adena, Oh has joined ZLicense to save lives. Anthony Reppas from Saginaw, Mi has joined ZLicense to save lives. Michael Garnett from Clayton, Nc has joined ZLicense to save lives. Luis Sanchez from Allentown, Pa has joined ZLicense to save lives. Jennifer West from Houston, Texas has joined ZLicense to save lives. Quincy Seymore from Savannah, Ga has joined ZLicense to save lives. Marvin Pollard from Altadena, Ca has joined ZLicense to save lives. Soulmate Leonard Ogieso from Ajegunle, has joined ZLicense to save lives. 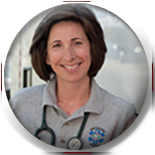 Tina Williams from Los Angeles Ca, Ca has joined ZLicense to save lives. Derrick Haulcomde from Mesa, Az has joined ZLicense to save lives. Donald Bessard from Houston, Tx has joined ZLicense to save lives. Takara Liggins from Bossier City, La has joined ZLicense to save lives. Lekeitha Clark from Decatur, Ga has joined ZLicense to save lives. Ali S. Tuckett from Rochester, Ny has joined ZLicense to save lives. Justin Peacock from Milledgeville, Ga has joined ZLicense to save lives. Jayda Purvis from Mccoll, Sc has joined ZLicense to save lives. Larry Demerson from Sugarland, Tx has joined ZLicense to save lives. Timothy Simpson from Antioch, Tn has joined ZLicense to save lives. Marco Simmons from Detroit, Mi has joined ZLicense to save lives. Joseph Foster from Jonesboro, Ga has joined ZLicense to save lives. Justin Spriggs from Dundalk, Md has joined ZLicense to save lives. Raja Venkata from Vijayawada, Andhra Pradesh has joined ZLicense to save lives. Juan Cruz Jr from Tracy, Ca has joined ZLicense to save lives. Robert Smillie from Stafford, Queensland has joined ZLicense to save lives. Deborah Shaw from Memphis, Tennessee has joined ZLicense to save lives. Regina Moran from Mastic, Ny has joined ZLicense to save lives. Charles T. Neil from Los Angeles , Ca has joined ZLicense to save lives. Corey Micah from Grand Prairie, Tx has joined ZLicense to save lives. Trevor Evans from Mississauga, On has joined ZLicense to save lives. Lynneria Stowers from Columbus, Oh has joined ZLicense to save lives. Antoinette Hodge from Moreno Valley , Ca has joined ZLicense to save lives. Darryl Waller Sr from Detroit, Mi has joined ZLicense to save lives. David Rubright from Kerrville, Tx has joined ZLicense to save lives. Bulmaro Navacamal from North Las Vegas, Nv has joined ZLicense to save lives. Mae Brassell from Oxford, Ms has joined ZLicense to save lives. Bill Thorpe from Fortworth, Tx has joined ZLicense to save lives. Douglas Lyons from Bridgeview, Il has joined ZLicense to save lives. Thomas Cartwright from San Diego, Ca has joined ZLicense to save lives. Carolyn Stewart from Las Vegas, Nv has joined ZLicense to save lives.